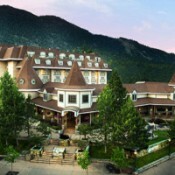 Southshore offers both condo and hotel lodging opportunities. 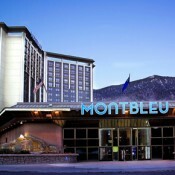 Most lodging is convenient to either the Heavenly Aerial Tramway or the Gunbarrel Express sometimes referred to as the California Lodge". 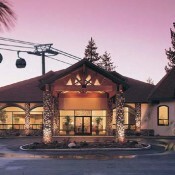 If you choose to lodge near the Tramway the bustling casinos and the Raley's grocery store are within a block or so of your accommodations. 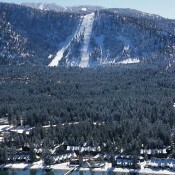 Further south and near Ski Run Boulevard is the original base area at Heavenly. 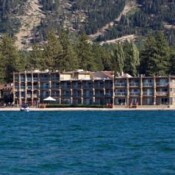 This entry point to Heavenly might be more convenient for people lodging along Pioneer Tail or near the Marina. Most all lodging locations are within a 5 minute drive/shuttle to either lift, but there is little parking at the Heavenly Tramway. Note--Some condo options such as Lakeland Village offer each front setting overlooking the predestine Lake.